From April 19 – April 30, the Festival presented 97 features, 57 short films, 31 immersive storytelling projects, 15 television shows, and 16 N.O.W. (New Online Work) projects from 42 countries over the course of the 12 days. As the Festival wraps up, 11 of the films available for acquisition have announced distribution deals. With 97 feature films presented this year, the festival offered narrative and documentary selections covering an immense array of stories and perspectives. While debuting 77 new feature films the Festival also paid respect to the past with the 25th anniversary of Aladdin, the 25th anniversary of Reservoir Dogs, followed by a conversation with director Quentin Tarantino and the full cast, the 15th anniversary of Bowling for Columbine with director Michael Moore, and The Godfather 45th anniversary. Tribeca continued to take the movie experience beyond the screen by turning special performances into cultural moments. Opening Night at Radio City Music Hall was a stellar evening for the world premiere of Clive Davis: The Soundtrack of our Lives. Following the documentary, the sold out crowd was treated to a once in a lifetime concert with legendary musicians Jennifer Hudson, Barry Manilow, Earth, Wind & Fire, Kenny G, Dionne Warwick, and Aretha Franklin. Sean “Diddy” Combs aka Puff Daddy held court on the red carpet and on stage for the world premiere of Can’t Stop Won’t Stop: The Bad Boy Story at the Beacon Theatre. The hip hop doc was followed by a celebratory reunion concert with Bad Boy originals Faith Evans, Lil’ Kim and Mase. Musician and actor Common performed a lively and soulful concert, including the debut of a new song, following his Tribeca Talks: Storytellers conversation with director/screenwriter Nelson George, and the screening of a never-before-seen extended version of Letter to the Free (Directed by Bradford Young). The inaugural Tribeca Games Festival kicked off with a performance by British electronic music producer and multi-instrumentalist Mura Masa who had the crowd on their feet. Early 80s punk and new wave music was reinvigorated at the world premiere screening of Dare to be Different, which chronicles the Long Island, New York radio station WLIR that introduced the music to the U.S. The post-screening concert included members of A Flock of Seagulls, The Alarm, and Dave Wakeling of The English Beat. Legendary blues artist Taj Mahal teamed up with environmental artist Wyland and the Wyland Blues Planet Band to perform a concert at the Festival Hub following the premiere of Wyland’s short film Blues Planet: Triptych, which explores the Gulf oil spill disaster and its aftermath. As the television landscape continues to evolve in cinematic directions, Tribeca offered a special treat for TV fans, blowing up the small screen to theatrical proportions and bringing it to life with in-person talks from the dynamic storytellers on both sides of the camera. The second annual Tribeca TV Festival featured 15 shows with five series premieres including The Handmaid’s Tale [Video of talk with cast and creators] and Genius [Video of talk with cast and creators], four season premieres including Unbreakable Kimmy Schmidt, Episodes, [Video of talk with cast and creators] and Another Period [Video of talk with cast and creators] three independent pilots, one feature documentary, and one very special sneak peek. Audiences responded with packed theaters… because TV is better shared. The inaugural Tribeca Games Festival premiered to sold-out enthusiastic crowds. The Festival kicked off with the New York premiere of Telltale Games’ first-ever crowd play of Marvel’s Guardians of the Galaxy: The Telltale series, Episode 1 and a concert with British electronic producer and multi-instrumentalist Mura Masa, which brought down the house. Saturday featured a captivated crowd for keynotes with some of the top game creators, including legendary creator Hideo Kojima, who flew in from Japan, Ken Levine, and Sam Lake – each of whom has transformed the industry with their unique and visionary storytelling. Tribeca’s Immersive program continued to push the boundaries of storytelling through technology and creativity with 31 virtual reality (VR) and innovative experiences and installations from top creators and emerging artists, including 22 world premieres. Top creators in attendance included Chris Milk and Aaron Koblin of Within, Félix Lajeunesse and Paul Raphaël of Felix & Paul Studios, Gabo Arora, Maureen Fan and Eric Darnell of Baobab Studios, Eugene Chung and Jimmy Maidens of Penrose Studios, Imraan Ismail, Saschka Unseld of Oculus Story Studios, Marshmallow Laser Feast, and more. Director Kathryn Bigelow and co-creator Imraan Ismail were joined on stage by surprise panelist Hillary Rodham Clinton during the Tribeca Talks: Virtual Reality, to discuss the world premiere of the virtual reality documentary short The Protectors: Walk in the Ranger’s Shoes, which follows the rangers fighting to save the African elephant from poachers. Also on the panel were Andrea Heydlauf with African Parks, and Rachel Webber from National Geographic. Acclaimed director Alejandro González Iñárritu declared “VR is everything cinema is not” during his Tribeca Talk with Marina Abramović. ○ [CLIP – Twitter] Hoffman on the improvisational backstory for his iconic Midnight Cowboy line. Tribeca Talks: Master Class returned this year to give attendees of the free event series an inside look at the filmmaking process with conversations focusing on cinematography, production design, sound design, and digital distribution. Academy Award®-nominated cinematographer Ellen Kuras took the audience behind the camera, from choosing the right lenses to crafting a specific vision. Production designers Anne Ross & Scott Dougan spoke about creating the overall look and feel of different worlds and times. During the Dolby: Image and Sound Master Class, composer/sound designer Imogen Heap and co-directors Limbert Fabian and Brandon Oldenburg discussed the audio techniques used to tell the compelling story of their new animated short, Escape. The Future of Independent Film Distribution Master Class brought Amazon Video Direct’s Matthew Norman and Dan Truong and Kino Lorber’s Richard Lorber together for a conversation about how digital technologies have impacted the way filmgoers consume movies and the new challenges and opportunities for the business of releasing them. Acclaimed comedian and actor Gilbert Gottfried and co-host Frank Santopadre were joined by Oscar-winning director Barry Levinson (Rain Man) for a live recording of their hilarious and informative podcast Gilbert Gottfried’s Amazing Colossal Podcast! Slate’s Trumpcast explored the first 100 days of the Trump administration with host Jacob Weisberg and guests Slate Chief Political Correspondent Jamelle Bouie and author Virginia Heffernan. Franchesca Ramsey joined host Aisha Harris for Slate’s Represent podcast, which explores culture created by women, people of color, and those in the LGBTQ community. Tribeca N.O.W. is a program that discovers, highlights, and celebrates New Online Work from independent storytellers creating and sharing their work in the online space. N.O.W. Special Screenings, featuring high profile content from the industry’s leading online networks and talent. Crypt TV’s Monster Madness, a series of several character shorts from the digital brand’s scaremakers debuted. Eli Roth joined the Crypt TV team and filmmakers for a conversation after the screening on the future of genre filmmaking and opportunities for up and coming horror creators. ○ [Full Facebook livestream] Eli Roth, Crypt TV Chief Content Officer, Kate Krantz, and Crypt TV filmmakers, moderator Crypt TV CEO & Co-Founder, Jack Davis. Tribeca N.O.W. Showcase brought the latest work from 10 independent online creators to the big screen as official Tribeca selections. 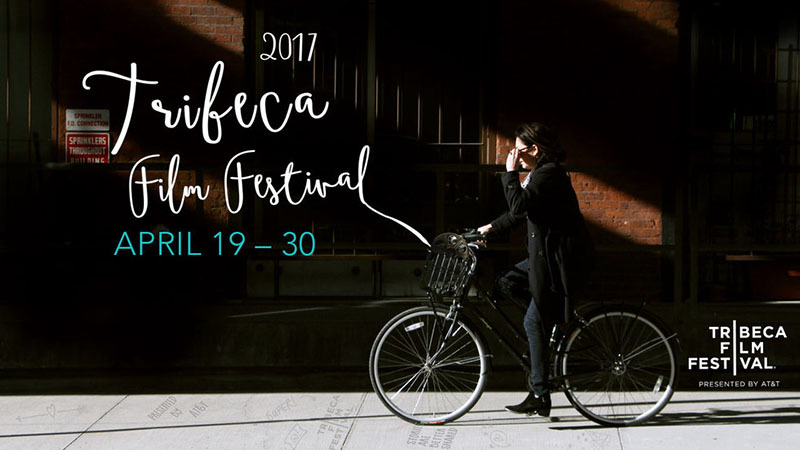 The curated group of creators, which included Bonnie Wright (Harry Potter), were also invited to showcase a piece of their past work on www.tribecafilm.com during the Festival. The second annual Tribeca X Award went to Chris Fonseca: Keep It Moving, directed by Zachary Heinzerling for Smirnoff Ice by 72andSunny. The Tribeca X Award highlights excellence in creative, original and authentic storytelling that is sponsored or underwritten by a brand. Tribeca and The Atlantic – through its in-house content studio, Atlantic Re:think – announced the winner during the Festival at a special screening event. The short film was one of ten finalists selected from a field of 600 entries that represented the best in storytelling at the intersection of advertising and entertainment from the past year.